An old maid—that's all Lady Christina McMorlan, daughter to the Duke of Forres, is to society now that she's past thirty. She hosts her father's parties and cares for her siblings, knowing she'll never have her own home and family. She has no time to pine, however. By night, she's The Lady, head of a notorious whiskey-smuggling gang that supports her impoverished clan. They're always one step ahead of the revenue man—until Lucas Black shows up. Claimed by The Laird is the third book in the series, and I really had a fun time with this one. It is a story based on a man searching for the murderer of his brother, and a woman that will do anything to save her people…even resort to illegal activities. Christina is a nobleman’s daughter, and the only one that can save the tenants from the higher taxes, with the making and distribution of whiskey. She isn’t afraid of consequences, or of a man posing as a servant, whose kisses makes her blood boil. 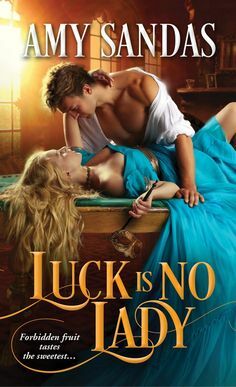 Claimed by The Laird is a very unique story, and it quite a solid romance. Not a story to fully get into, but one that you slowly get involved with and learn to fall in love with it gradually. This story is a lighter tone than you expect, but I really loved that quality. The characters in the story are endearing and charm you. It is the perfect read on a warm summer’s day at the park or a evening listening to the crickets. Its sweet, charming, and enough romance to satisfy those sweet urges!! TASTEFUL AND DELECTABLE WITH EVERY CHAPTER!